Each year JCCSLO hosts a celebration to enjoy Israeli culture. Come have fun with us! 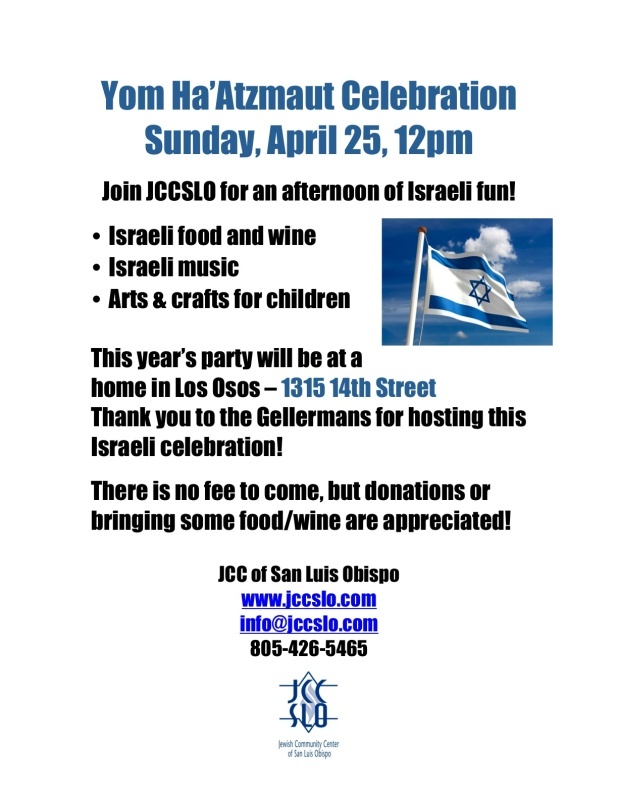 This year the party will be at the home of an Israeli that lives here in Los Osos.